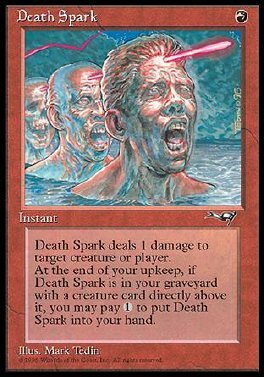 Death Spark deals 1 damage to target creature or player. At the beginning of your upkeep, if Death Spark is in your graveyard with a creature card directly above it, you may pay 1. If you do, return Death Spark to your hand.